Leading Manufacturer of automatic roaster, heavy duty uruli roaster, selvin uruli roaster urb 10, selvin uruli roaster urb 100, selvin uruli roaster urb 200 and selvin uruli roaster urb 250 from Coimbatore. Automatic Roaster temperature controlled Roasting of Supari, Cashew, Chilies, Coriander, Spices and various other products. Can also be used for moisture removal in many products. For efficient heat recovery, separate exhaust fan is fitted for reducing the roasting time. The cylindrical roasting drum is covered with heat resistant panel to avoid heat loss. 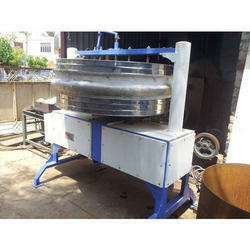 Heavy Duty Uruli Roaster machine is suitable for roasting of rice powder, wheat, rava, grains, spices,coffee etc. Operating Principle : A small motor rotates a pan. THe stirrers places inside the urili blends and throughly plugs the material from top bottom. At the same time the materials is dry feed evenly by the heating system. 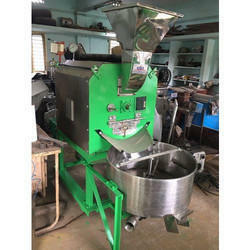 We are offering Selvin Uruli Roaster URB 10 to our clients. We are offering Selvin Uruli Roaster URB 100 to our clients. 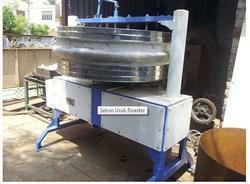 We are offering Selvin Uruli Roaster URB 200 to our clients. 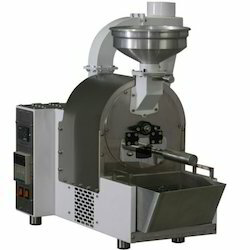 We are offering Selvin Uruli Roaster URB 250 to our clients. We are offering Selvin Uruli Roaster URB 60 to our clients.